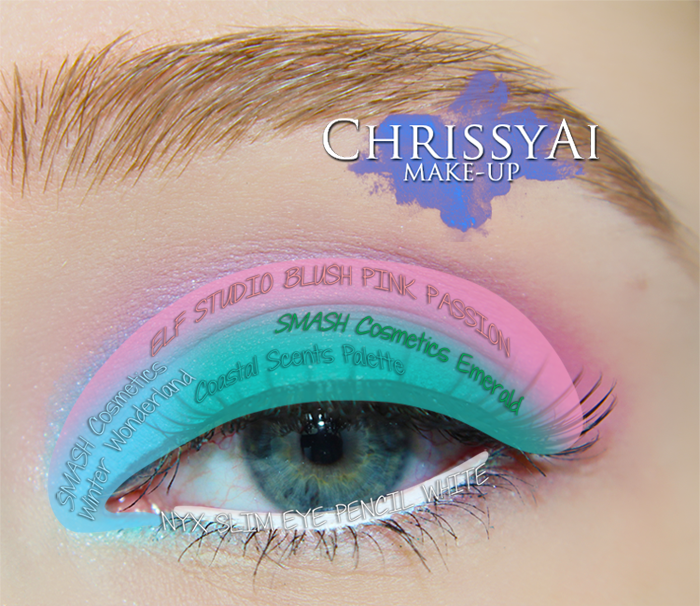 Disclaimer: This look was created using product(s) provided to me by the company. 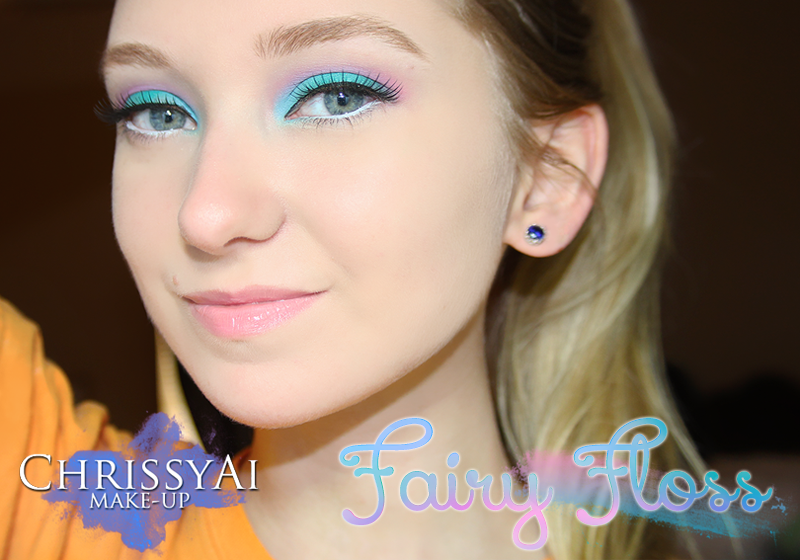 Keep reading to see more photos and the products I used for this look! 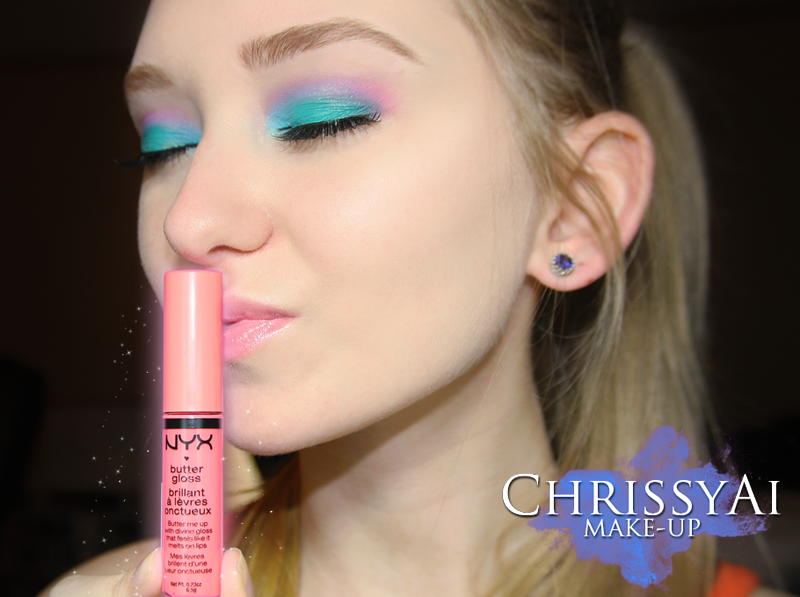 Today's make-up look is a cotton candy-esque makeup look with a bit of a twist. Appropriately named Fairy Floss, (Thanks, Alexis!) 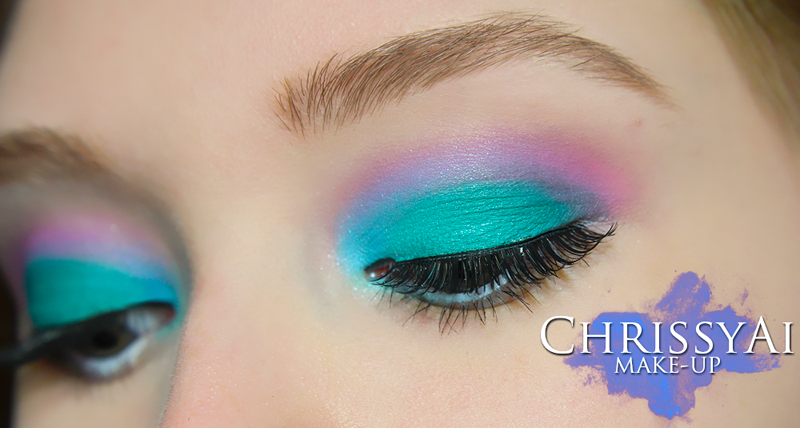 this non-edible look is a combination of teal, pink, and light blue. Before applying this lip gloss, I tested it on my hand and it felt sticky. However, to my surprise, on my lips it had a great smooth non-sticky texture. It's currently my favorite lip gloss! It has a nice pigmentation and who doesn't love a lip gloss without a gross texture? Oooh, that butter gloss looks amazing and look at you! So pretty and whimsical! You are gorgeous! Beautiful look! This is so pretty! love the bright and sweet colors you picked! Gorgeous! You look amazing! Those colors are beautiful, Christa!